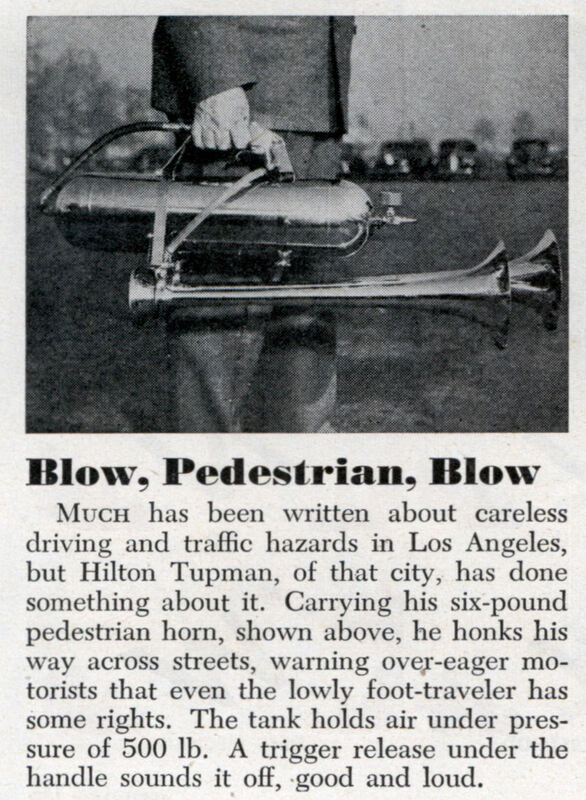 Much has been written about careless driving and traffic hazards in Los Angeles, but Hilton Tupman, of that city, has done something about it. 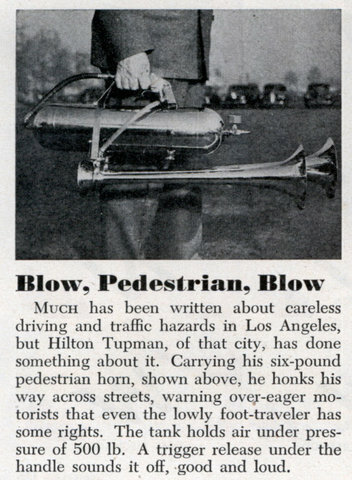 Carrying his six-pound pedestrian horn, shown above, he honks his way across streets, warning over-eager motorists that even the lowly foot-traveler has some rights. The tank holds air under pressure of 500 lb. A trigger release under the handle sounds it off, good and loud. Reminds me of the Air Zounds, a great rechargeable bicycle air horn that I have on my bike. Weighs about 8 oz., costs $20 or so, good for 50 blasts or so, saved my life numerous times.